• Will show if seeds are viable i.e. capable of growing into a lovely veg plant. As soon as the seed shows a root shoot (radical) immediately plant in growing medium. 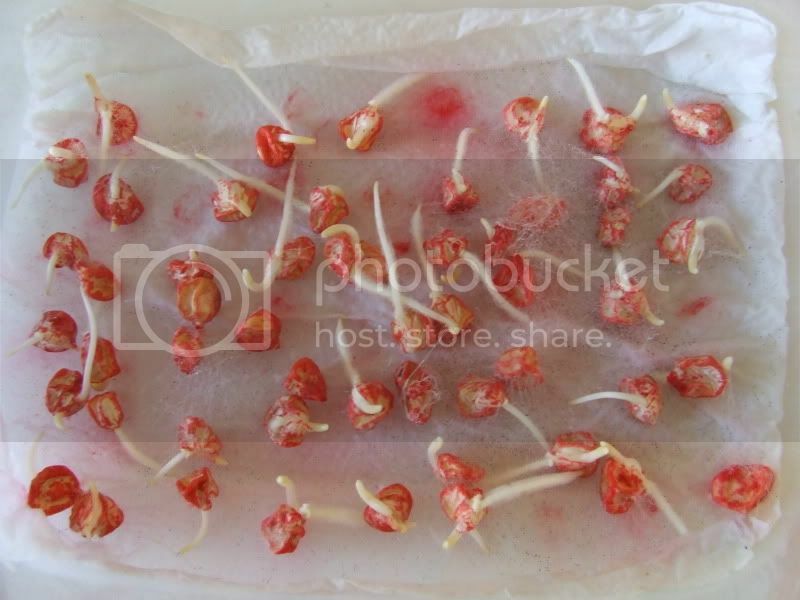 • All seeds can be chitted, but it is advisable to chit sweetcorn, parsnips, peas and beans if you have had any previous trouble with germinating these.